Product prices and availability are accurate as of 2019-04-24 04:59:06 UTC and are subject to change. Any price and availability information displayed on http://www.amazon.com/ at the time of purchase will apply to the purchase of this product. The worlds most-famous fishing reel just got better. The new line management system provides better casting, improved line retrieve and control. This new 33 includes a built-in hook holder that hides the hook point and is accessible from either side of the reel. 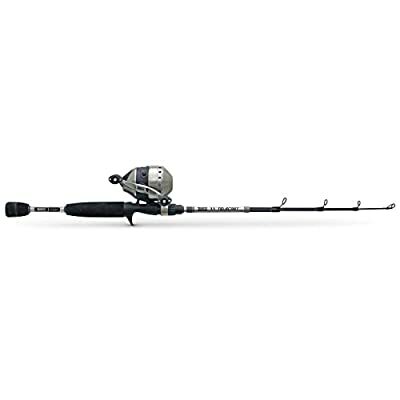 A new Gear Train provides a smoother feel and better durability, incorporating better bearing support to enhance the feel and retrieve while providing smoother and quieter performance. The Micro Fine Drag provides more-precise and accurate adjustability.